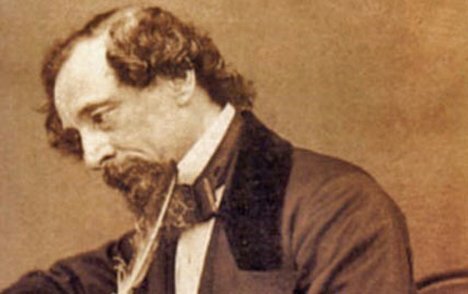 Charles John Huffam Dickens was born on 7th February 1812 in Landport, Hampshire. He was born to John and Elizabeth Dickens. His father worked as a clerk in the navy pay office. Charles Dickens was the most famous novelist of the Victorian period. His novels were very popular then and continue to be so even today. His novels were essayed on the hardships faced by the middle-class and other social issues. These novels were later adapted in magazines in the form of serials. His work was liked and admired by eminent writers like George Gissing and G.K. Chesterton. By 1815, the Dickens family moved to London and later on to Chatham. At Chatham, Charles received education at William Giless School. Special attention was given to Charles by William Giles, the schoolmaster. In 1824, Charles father John was imprisoned in the debtor’s prison in Southwark, London. At this time, Charles was twelve years old who, along with his sister Fanny were permitted to spend a day in Marshalsea where their father had been imprisoned. Charles lived in a boarding but due to the family’s condition, he began working at Warrens Blacking Warehouse, Hungerford Market, London. He would work there for around ten hours every day and his earning was six-shilling a week. The working conditions had made a deep impact on Charles who later on used this experience to essay his characters. However, when Charles father was in the debtor’s prison, Johns grandmother died leaving some money for him, some of which was used to pay his debt. From 1824-1827 Charles studied at Wellington House Academy, London and his mother did not remove him from the blacking factory immediately. It is said that her failure to remove him from the factory attributed to his demanding and dissatisfied approach towards women. Charles Dickens was at Mr. Dawsons school in 1827 and from 1827 to 1828 he worked at a law office as a clerk. After working in the law office he was a shorthand reporter at Doctors Commons. In 1833 he began his career as a fiction writer and A Dinner at Poplar Walk was his first published sketch in the Monthly Magazine. His experience at the law office and being a reporter was used by Charles to write his works like Nicholas Nickleby, Dombey and Son and in particular Bleak House. In 1830, Charles met Maria Beadnell and fell in love with her. However, her parents were against this relationship and so they sent Maria to a school in Paris. In 1836, his first novel The Pickwick Papers was serialized. In 1836 he became the editor of Bentleys Miscellany and remained at that post for three years. In the same year on 2nd April Charles married Catherine Thomson Hogarth and together they had ten children. Charles was fond of Cathrine’s sister Mary who lived with the Dickens family. He essayed her death in The Old Curiosity Shop as the death of Nell. Charles and his wife visited America in 1842. There, Charles gave lectures in support of copyright laws. In November 1851, Charles moved into Tavistock House and it was here that he wrote Bleak House, Hard Times and Little Dorrit. Charles’ second visit to America was in 1867. After separating from his wife, Charles in 1858 undertook his first series of public readings in London. Charles major works like A Tale of Two Cities and Great Expectations were published in 1859 and 1861 respectively. Around the same time, he was the publisher and editor of journals such as Household Words and All the Year Round. Charles was involved in giving farewell readings in England, Scotland and Ireland between 1868-1869. on 22nd April while giving one of his readings, Charles suddenly fell down at Preston, Lancashire. His fall was an indication of a mild stroke and after this incidence, all his remaining readings were cancelled. It was then that he started working on his last novel, The Mystery of Edwin Drood. Charles however, arranged for the partial, if not complete, reading of the series once his health improved. Charles last public appearance was at the Royal Academy Banquet. On 8th June 1870, Charles suffered another stroke. He died the next day, on 9th June at Gads Hill Place. Charles had expressed that he should be buried at Rochester Cathedral in an inexpensive, unostentatious, and strictly private manner but, was instead buried at Poets Corner of Westminster Abbey. 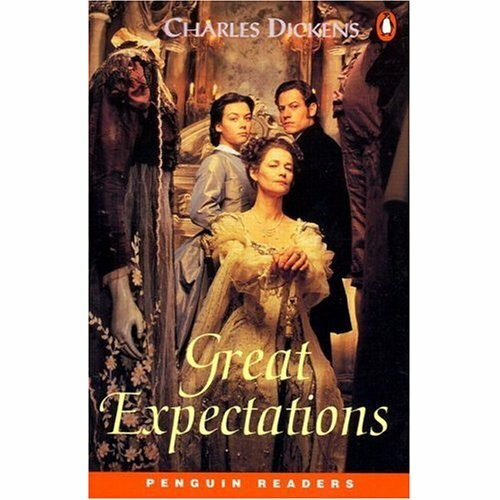 Charles Dickens loved the Gothic romance of the 18th century. His writing style was florid, poetic and it had a powerful comic touch. Charles Dickens was famous for his novels which portrayed the difficult life of the working class and his characters. The characters like Tiny Tim, Oliver Twist, Pip, David Copperfield and many others were so beautifully portrayed as if they really existed. Major works of Charles like Oliver Twist, Nicholas Nickleby, The Old Curiosity Shop and Barnaby Rudge: A Tale of the Riots of Eighty were first written in weekly or monthly installments and were later on printed as books. These monthly installments were illustrated by Phiz or Hablot Brownie. His works include Great Expectations, David Copperfield, The Pickwick Papers, etc. Charles even produced and edited essays. He wrote A Visit to Newgate, A Small Star in the East and Mr. Barlow as an essayist by adopting the name Boz.